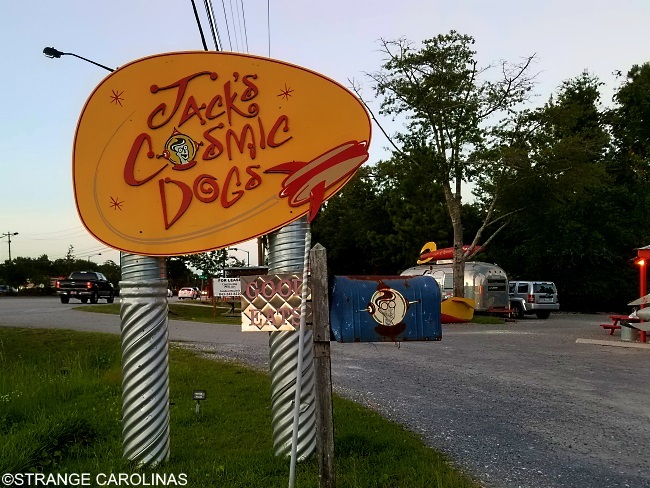 We can't tell you much about Jack's Cosmic Dogs as they were closed for the evening when we stumbled upon their place this past summer. 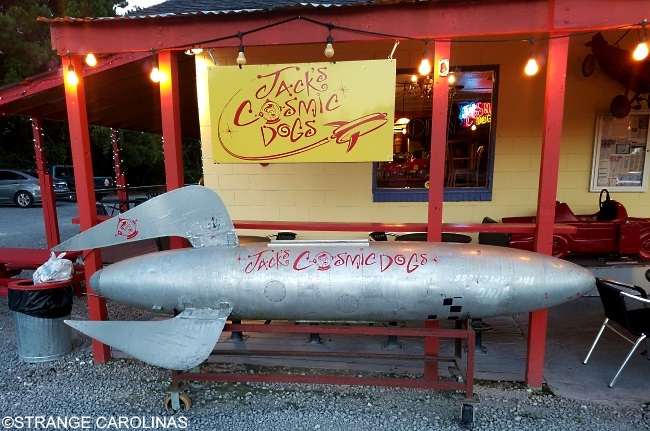 According to their website, they have fifteen different hot dog creations on their menu. 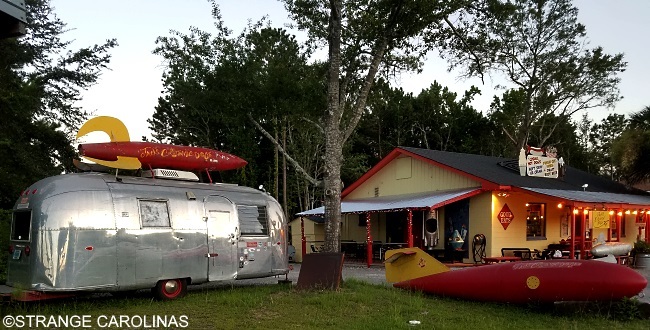 But what pulled us into their obit was their space-age design and all the rockets on the property.